Such monetary policy, as employed in the US from 2008-2013, will significantly decrease the value of the currency. Goldman Sachs released a forecast which sees the euro falling to €0.80 per $1 by the end of 2017. While the euro loses, the dollar continues picking up speed as the US economy improves on the back of higher employment, increased trade, and a relative recovery in stocks and equities. 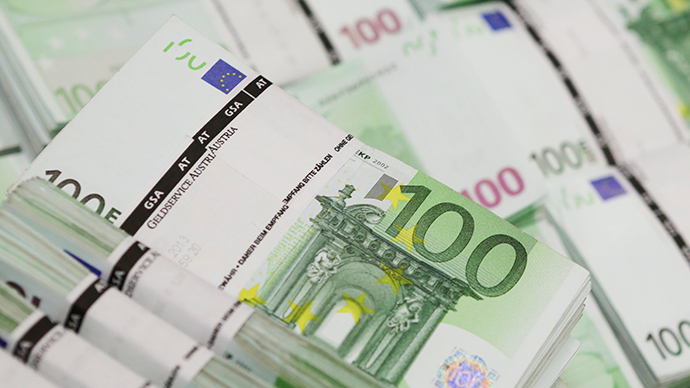 The euro has already weakened 14 percent against the dollar in 2015, trading at $1.0627 at the time of publication. This is nearly 34 percent less than the all-time high of $1.59 per euro in April 2008. Some experts suggest the euro will reach parity with the dollar by the end of the year, if not sooner. The last time the euro and dollar were equal was on January 26, 2002. Big oil and gas companies: A lower euro helps balance lower crude oil prices.France’s Total, Italy’s Eni, and Spain’s Repsol stand to gain, as many of their operational and salary costs are in euros, but revenue in dollars, which crude oil is priced in. European exports: A weaker euro makes exports more attractive, as most of the global trade is denominated in US dollars. The European Central Bank projects a 5 percent decline in the euro’s trade weighted exchange rate could boost eurozone GDP by 0.3 percent. 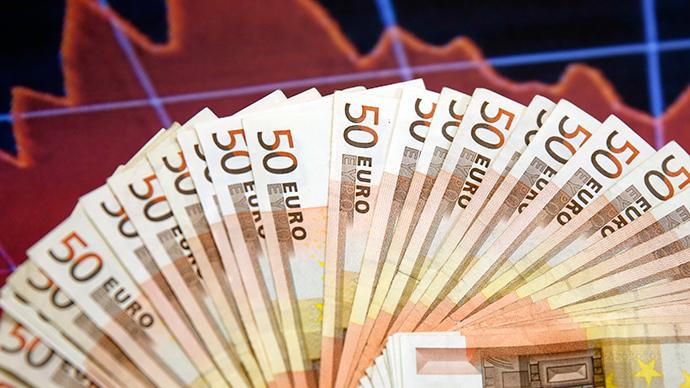 Germany, an export-driven economy, will see a big bump in overseas sales on the weaker euro. Companies across different sectors are more impacted by the weak euro, depending on how much they base salaries and operation costs on the local currency. Euro trippers: Time for that vacation you’ve always thought was too expensive! Croissants and foie gras in Paris just got about 15 percent cheaper, ditto for the hotels. European stocks: The Euro Stoxx 50 Index of companies in the euro region has already soared 16 percent this year, compared to the S&P 500 which has fallen 0.3 percent. On Tuesday, Germany’s DAX passed 12,000 points for the first time. Americans: Whether they know it or not, US consumers have gained significant buying power on the strong dollar. A strengthening currency means people in the US can now buy more with the same amount of US dollars in the global marketplace. The 14 percent markdown of the euro makes everything from BMW’s, airplane tickets, and wine from France lighter on your wallet. Hedge funds: At this point, betting against the euro and pouring money into dollar assets seems like a safe bet- from real estate to stocks and equities. The biggest hedge fund by assets worldwide, Bridgewater Associates LP, has already earned 7 percent on its Pure Alpha fund in the first 2 months of 2015. US debt: Investors shifting from Europe will likely turn to the US, and the interest rate hike expected in June will make investing in US bonds even more attractive. American companies: Corporations with major foreign sales and revenues will take a hit from the sagging euro and strong dollar. Companies listed on the S&P 500 get about 35–40 percent of their profits from overseas in foreign currencies. Xerox, for example, generated about 20 percent of its $19.5 billion revenue in 2014 from Europe. Airlines: Even though the price of crude is falling, airliners need to buy jet fuel in dollars. Any non-US based company will feel the heat or buying oil in any other currency than the dollar. Air-France KLM, for example, has 40 percent of its costs in dollars. Europe: Since the easy-money policy was just announced, not every economist is certain it will deliver the results promised. Many still fear it could end like it did for Japan- decades of on-and-off deflation. The swinging currency can cause instability and uncertainty. Banks in Europe: Which now have to lend at record-low rates, and will have to lend at a near-loss as institutions keep slashing lending rates across the continent.